Easy to build from with easy to follow references to the materials list. 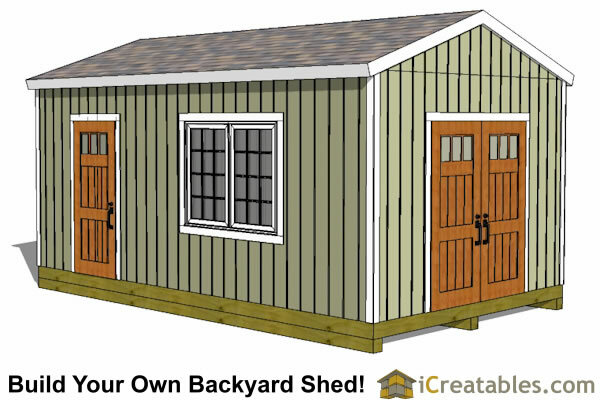 If you are looking for a huge "shed" then the 12x20 shed plans may be your answer. The 12x20 shed has 240 square feet of floor space. These sheds are large enough that you can do many things that are impossible in smaller sheds. You can store a riding lawn mower and have a workshop. If you are building a home office you will have enough room for several people to work in their own space. Our large selection of 12x12 shed plans helps you to pick and build the perfect design so you can build your workshop, storage area or home office. 12x20 Gable Shed Design: The gable shed is the most common style of shed. The lower slope roof keeps the overall building height lower than the colonial style. It comes with two doors, one large and one smaller. This allows you to easily move large items in and out of the shed through the large doors and the smaller door is used for daily entering of the shed. 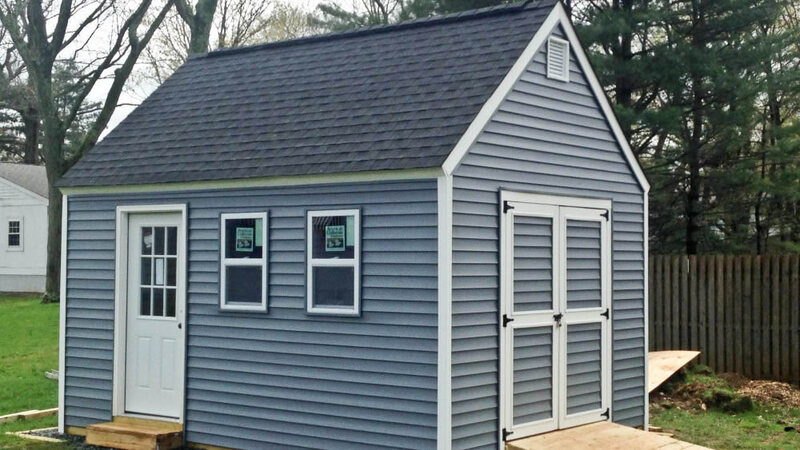 12X20 Garden Shed Plans: Our colonial style sheds are the perfect solution for a large garden shed. 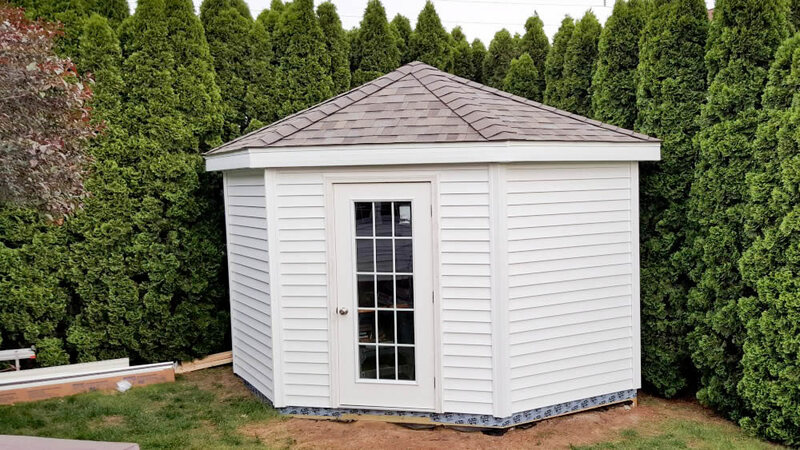 With a steeper roof pitch, windows and a large door to make it easier to store larger items the 12x20 backyard colonial shed design will provied functionality and good looks for your yard or garden. 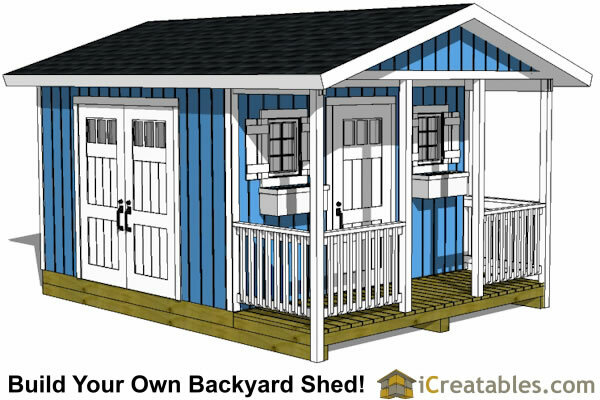 12x20 Shed Plans With A Porch: Our shed plan with a porch is a great way to build a storage shed and also have a fun place to hang out with covered porch. The 4x12 covered porch comes with handrail details. It has a 12x16 interior area that can be used as a workshop or storage space. 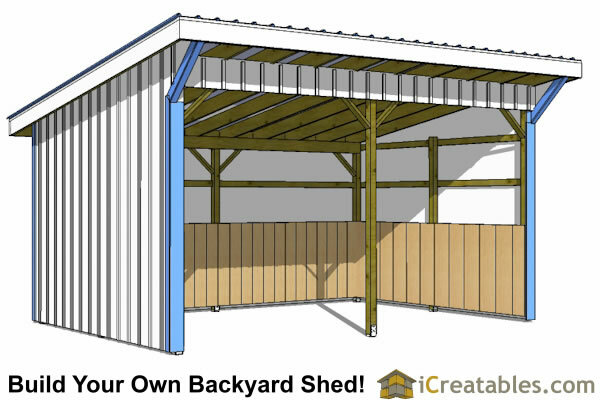 12x20 Lean To Shed Plans: Large lean to sheds are a simple way to get the storage or work space you need using simple construction techniques and no nonsense design. 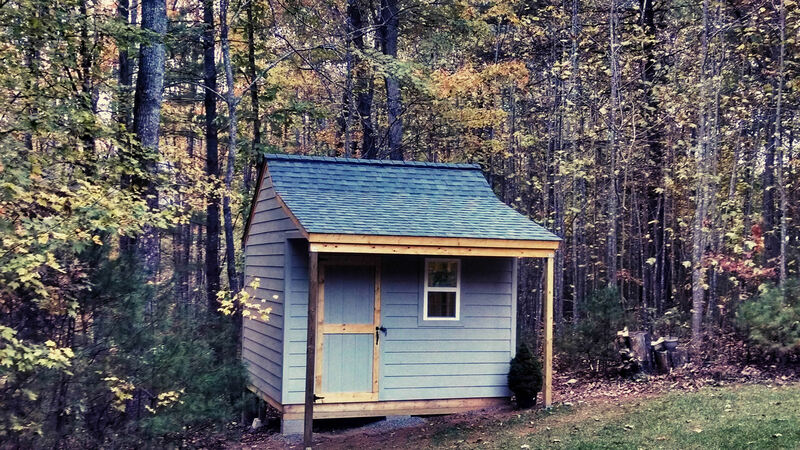 The simple one slope roof design makes the shed roof a bit easier to build. It also allows you to build the shed up against another structure and have the rain or snow to drain away. The roof overhang of the lean to shed is 6 inches on all sides. The roof overhang can be extended longer or shortened to fit your needs. 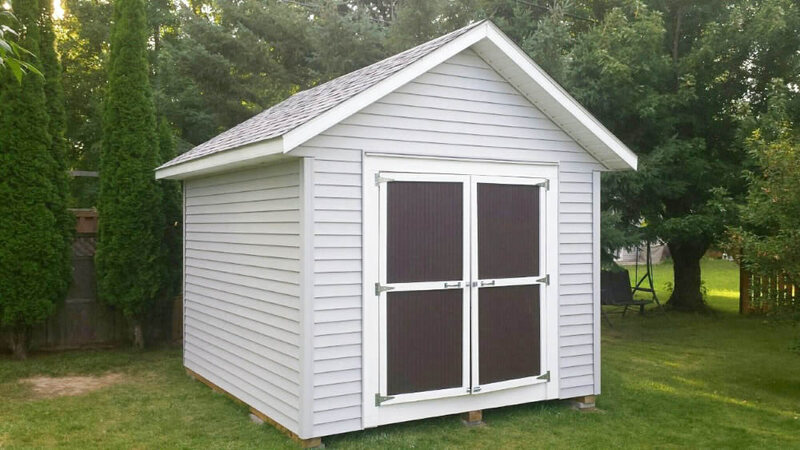 12x20 Shed Plans With Garage Door: A 12x20 shed with a garage door is the perfect way to increase accessibility to the shed. Having a large garage door allows you to easily drive 4 wheelers or riding lawn mowers into the shed. It also makes it easy to move large tools in and out of the shed to give you more space when it comes time to work in the back yard. 12x20 Horse Barn Plans: The 12x20 horse barn plans will create a large enough space for several horses or small animals. With 240 square feet you will have plenty of room for two horses. The recommended space for a horse is usually 10x12 feet which is 120 square feet. Horse stalls are typically 100 to 144 square feet. * The covered cantilever area gives protection in the front of the run in shed. *University of Nebraska-Lincoln Extension, Tips for New Horse Owners G2039. 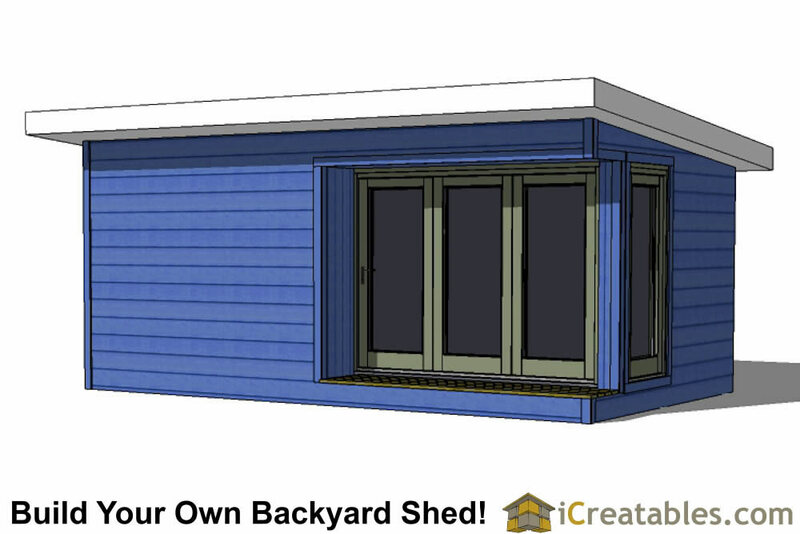 12x20 Modern Shed Plans: The modern shed plan is perfect for a large office or as a guest bedoom. If you are looking to build a contemporary home office that you will be proud to work in and bring clients to or simply have a workout studio or guest bedroom then this is the plan for you. These plans allow you to build your own space for much less than purchasing a pre built design. It is designed with a low slope roof and the generous use of windows. Building a shed takes planning. These are some of the key stepsthat are often followed and questions that need to be answered when planning to build a 12x20 backyard shed. What amount of storage or work space you need? 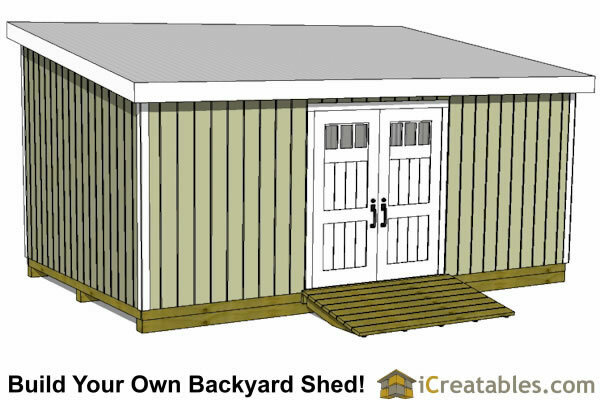 How much it will cost to build the shed design you are interested in? 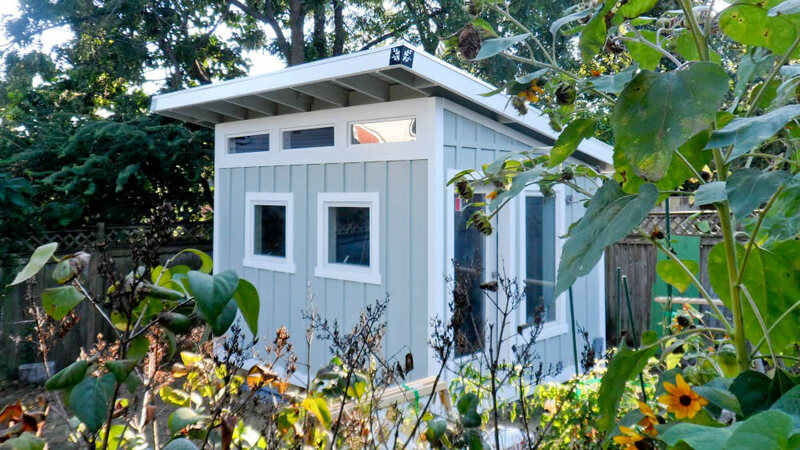 What style of shed you want to build? 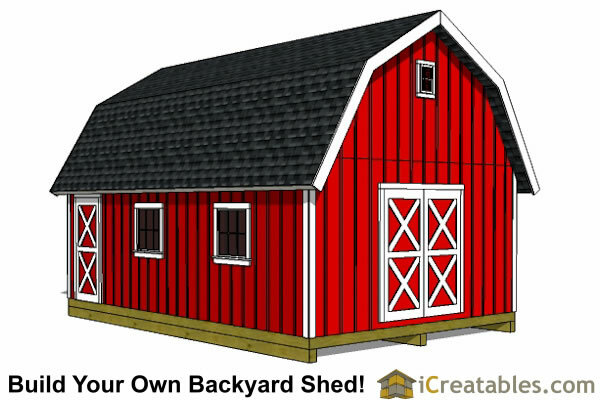 What is the best place to build the shed on your property? How will having the shed in the yard or garden affect the traffic flow in the yard and how will the shed be accessed? 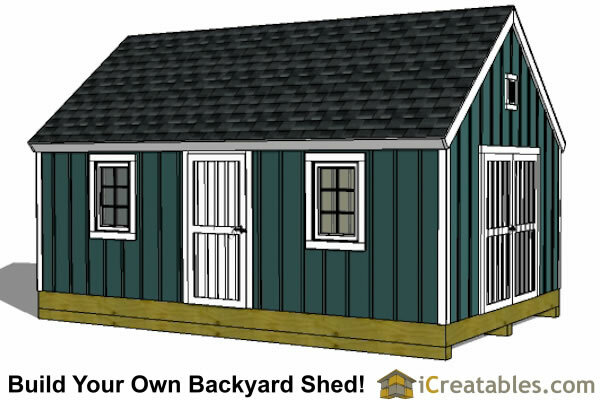 Most sheds have the option to build the door on different sides of the shed? 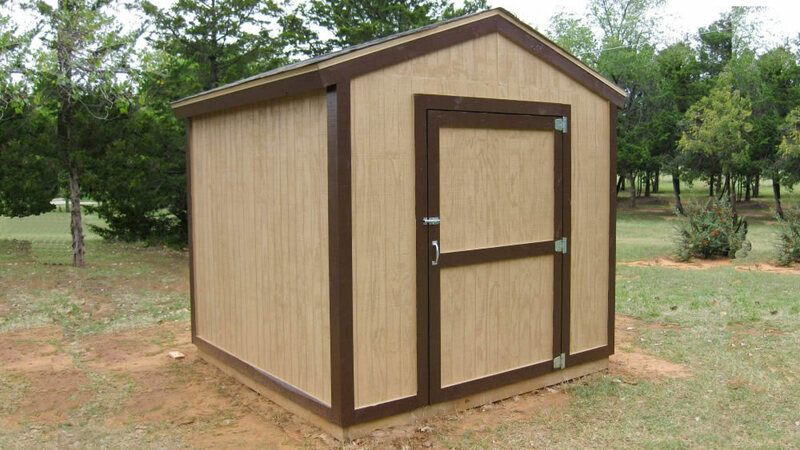 What are the building requirements of my local builiding department for sheds? 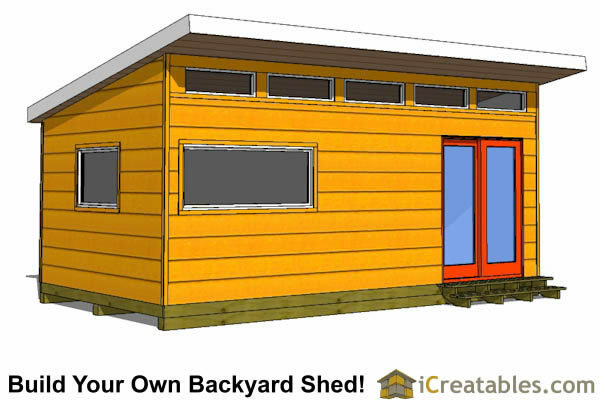 iCreatables.com is your online shed planning resource. We have the internets largest shed information library. 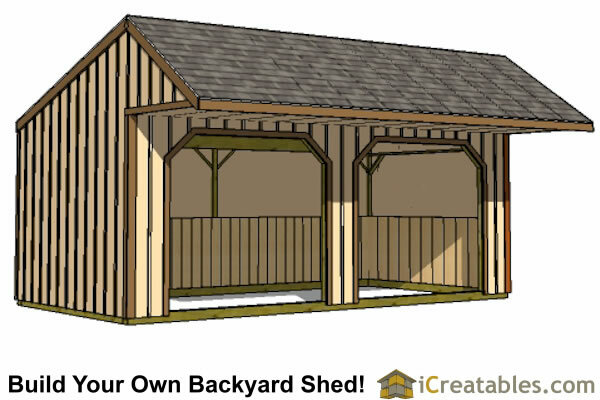 This helps you to plan, build and complete your shed. 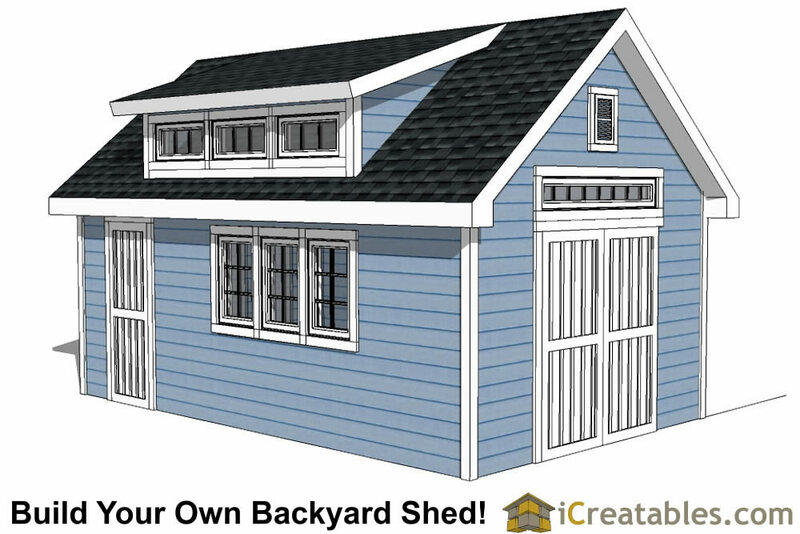 We have a large shed plan library that includes several different 12x20 shed plan styles. These styles include gable sheds, a shed with a garage door, a lean to shed, a modern shed, shed with a porch, a horse run in barn shed and a colonial style gable shed. 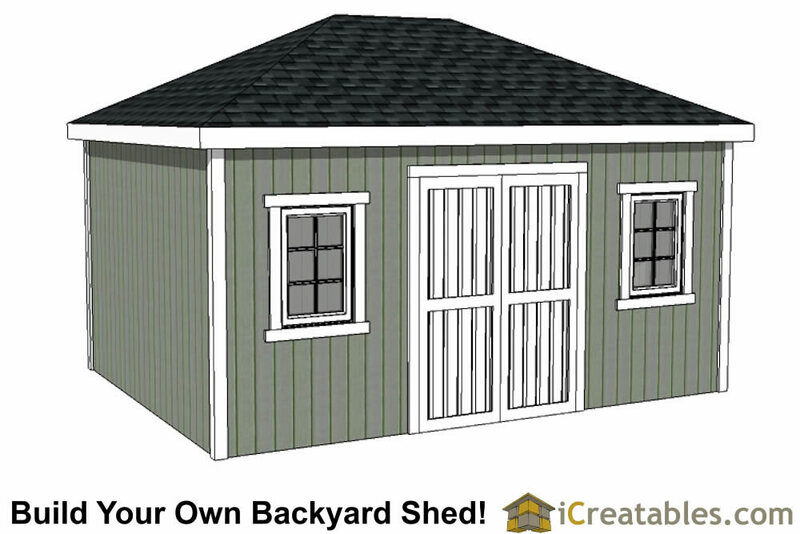 We have a How To Build A Shed Manual that comes with every shed plan purchase. 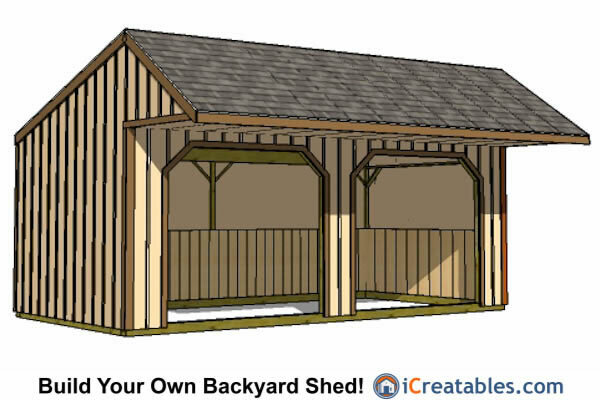 This free shed building resource teaches you how to build a shed showing you every step of the shed building process. It has over 50 drawings with explanations on how to build things like the shed foundation, shed floor, shed walls, roof and doors. 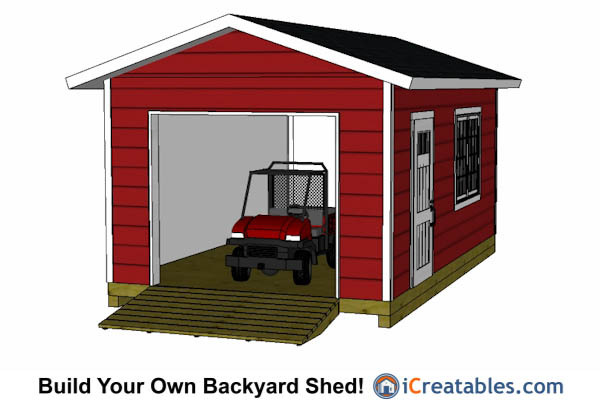 iCreatables also has a video based shed building tutorial that shows the techniques used to build each part of a storage shed. 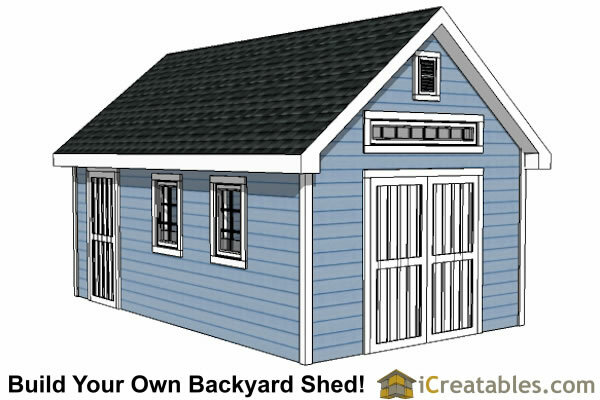 iCreatables has the 12x20 shed plan for your shed building project! 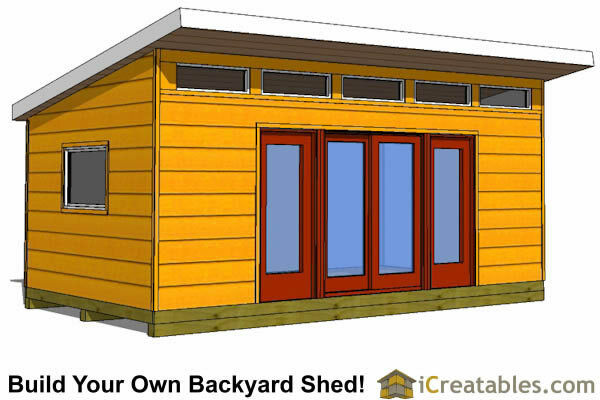 Check out the shed plans shown above and find the one that is best for you. 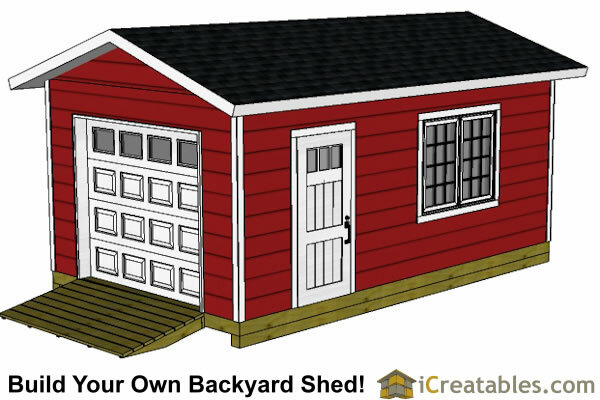 Click on any of the shed icons and learn more about our different designs and pick the perfect shed and start building today!